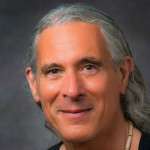 Home / Academics / Undergraduate College / Areas of Study / All Areas of Study / Department of Teacher Education / Faculty / Ron Scapp, Ph.D.
“Tucson and the Case For Ethnic Studies,” Invited speaker, University of Arizona, Fall, 2015. “The Assault on Ethnic Studies: An Assault on Democracy?” Invited speaker, SUNY at Stony Brook, Spring, 2015. “Man Enough: Masculinity In and Outside the Classroom,” Invited Panelist with bell hooks, New School University Fall, 2014. “Self (Ad)Dress: Some Remarks on Dressing and Addressing Oneself and Others,” Invited Speaker, Parsons School of Design, Fall 2013. “Being Philosophical Elsewhere: Philosophy Outside the Profession,” Invited speaker, Department of Philosophy, SUNY Stony Brook, Spring 2013. “Education, Power and Leadership,” The Joseph Hearst Memorial Lecture, Spring, 2013 Frank Church Symposium, Idaho State University. “Diversity and Differentiation: Implications for Accreditation,” Invited speaker, American Association of Colleges for Teacher Education (AACTE), the 64th Annual Conference, Chicago, Winter 2012. Reclaiming Education: Moving Beyond the Culture of Reform, Palgrave Macmillan, 2016. Living with Class: Philosophical Reflections on Identity and Material Culture, Co-Editor Brian Seitz; Palgrave Macmillan, 2013. Eating Culture, Co-Editor Brian Seitz; State University of New York Press, 1998. Ethnic Studies Review (Journal), Editor, 2011-Present.